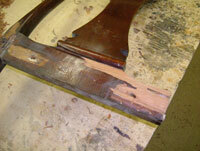 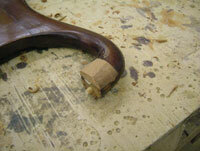 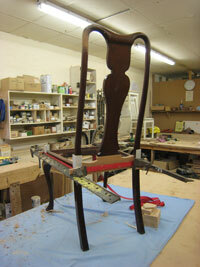 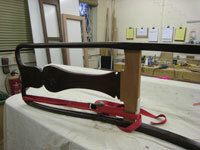 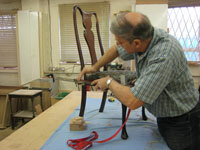 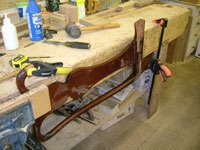 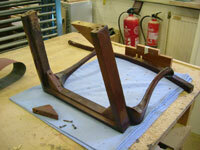 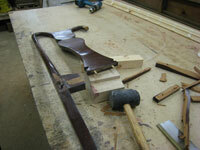 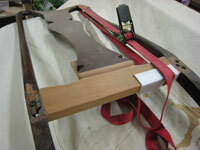 The photos show a heavily damaged mahogany dining chair which had shattered when it was sat on. 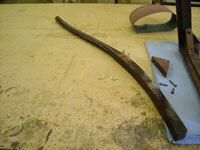 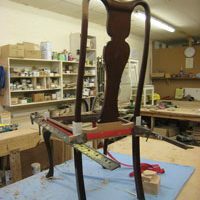 Modern central heating systems often dry out the old type animal glue which was used on older furniture; this causes the joints to weaken over time with the piece eventually falling apart as was the case with this chair. 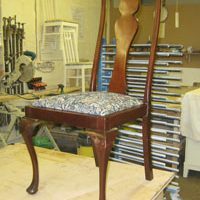 We carefully cleaned and made good all the joints, we fitted new mahogany into the top of one of the legs and made and fitted a new back rail and then pieced the chair together again. 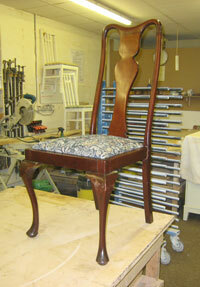 The chair was then delivered to the client who was highly delighted with it. 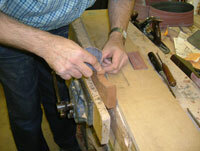 If you have any questions or queries about a repair or restoration job please contact us and we will be very happy to help.